This is The Make It Last Edits, where we bring you our favorite conscious styles right now. Our twelfth theme is: perfect earrings. Enjoy! Handmade earring from “This is home” which is a collaboration between JohannaN and Adam Tensta, against racism. 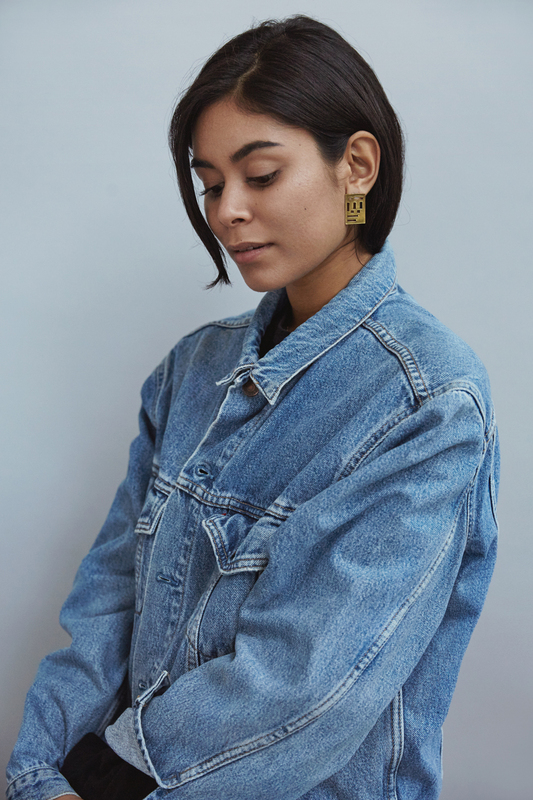 Vintage jeans jacket from Levi’s. 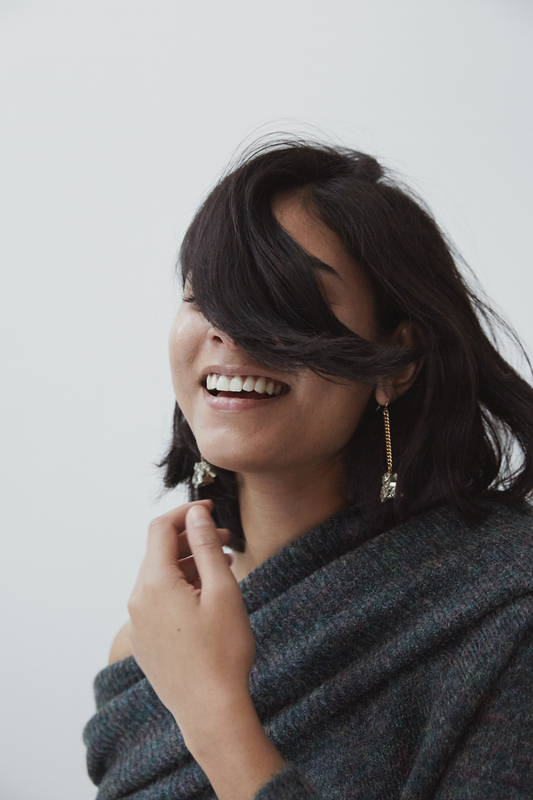 Earrings from Yggdrasil – a brand that plants a tree every time you buy a piece of jewelry from them. 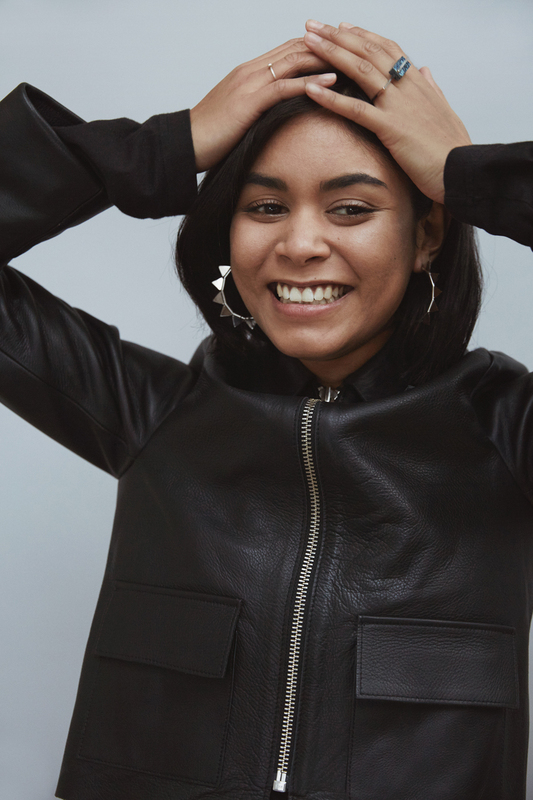 Leather jacket from Weekday. Rings from Holpp and Cos.
Earring from CU Jewellery – a brand that works with recycled silver and biodegradable boxes. Top from Stella McCartney. Handmade earring from Märta Larsson. All the stones in the collection are in their natural form. Knit from Gina Tricot. 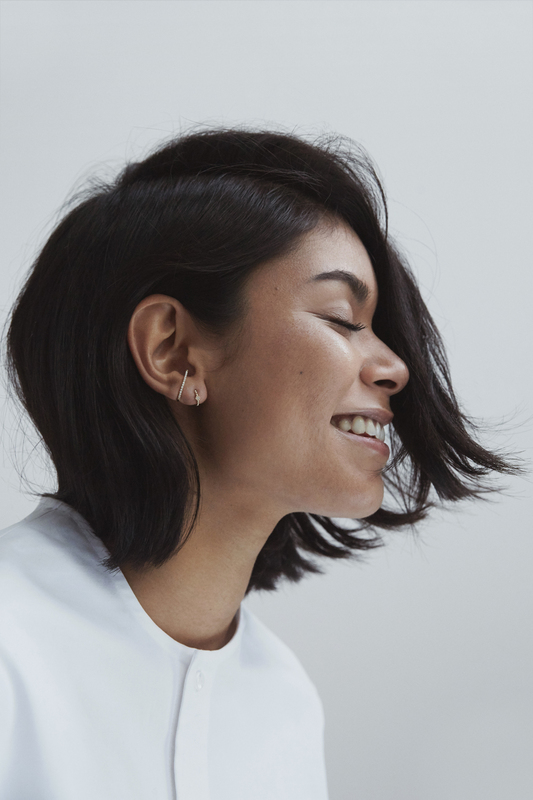 Earring from Weekday, a brand that’s improving their sustainability initiatives buy making some of their jeans of organic or recycled cotton. Turtleneck from Calida. 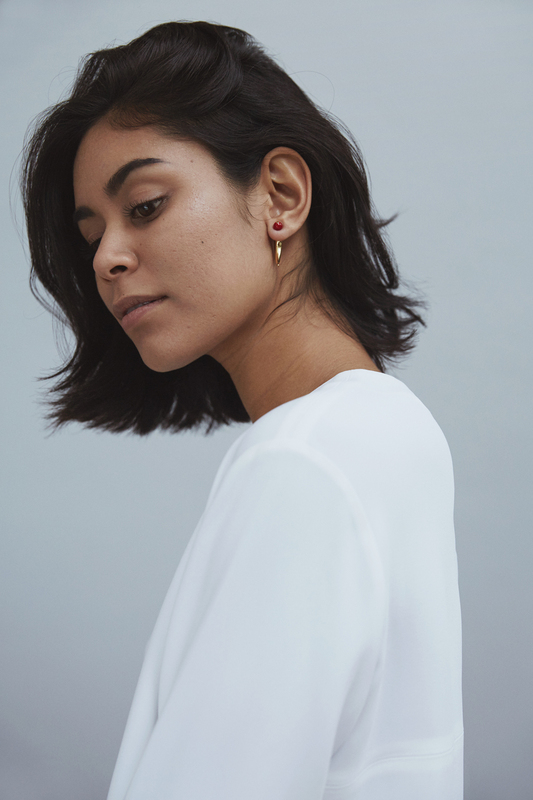 Earring from Stone Paris and ear cuff from Maria Black. Two brands that makes timeless, high quality jewelry that you can keep forever. Shirt from Jacquemus.